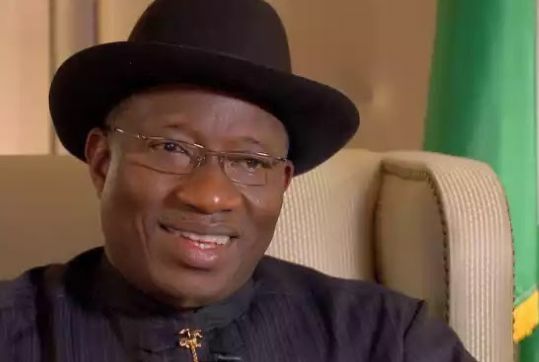 Goodluck Ebele Jonathan (born 20 November 1957) is a former President of Nigeria, having served from 2010 to 2015. He served as Vice-President of Nigeria from 2007 to 2010 and as Governor of Bayelsa State from 2005 to 2007. Deputy Governor of Bayelsa On 29 May 1999, Jonathan was sworn in as Deputy Governor of Bayelsa alongside Diepreye Alamieyeseigha who named in as the governor of the state on the platform of PDP. Jonathan served as Deputy Governor until December 2005. Vice-presidency As Vice-President, Jonathan took a very low profile. While recognising the constitutional limits of the Vice-President's office, he participated in cabinet meetings and, by statute, was a member of the National Security Council, the National Defence Council, the Federal Executive Council, and was the Chairman of National Economic Council. Acting president On 9 February 2010, a motion from the Nigerian Senate invested Goodluck Jonathan as acting President of the Federation because President Yar'Adua went to Saudi Arabia in November 2009 for medical treatment. On 10 February 2010, during his first day as acting president, Jonathan announced a minor cabinet reshuffle. Prince Adetokunbo Kayode, who was the Labour Minister, was named Minister of Justice, to replace Mr Mike Aondoakaa. Aondoakaa was named as the Minister of Special Duties, and his counterpart Ibrahim Kazaure was named Minister of Labour.